First, do no harm, it’s an oath we take when we are given the title of physician. On the surface it sounds easy enough - nobody practices medicine intending to harm patients. Yet as we all know, mistakes are easy to make, especially in the emergency department. We work in a fast-paced, high acuity environment with limited information and time to make decisions. We depend on pattern recognition, heuristics and, often, generalizations to aid in our decision-making. Accordingly, we open ourselves to inadvertent errors, especially if our decision aids are based on stereotyping. Implicit biases are defined as unconscious beliefs that affect our understanding, actions and decisions. These biases can be both favorable and unfavorable, and are activated involuntarily - without the individual’s knowledge. Implicit biases are ubiquitous - we all have them. Our biases are learned at a young age and are based on our cultural backgrounds and upbringing. 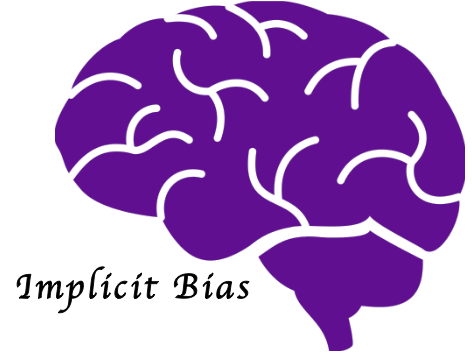 Biases do not make us racist, sexist, ageist, or any other -ist, however it is imperative that we understand that these biases exist and that they can affect our patient care. 1. Take an Implicit Association Test online (and take them often!). Our biases are not immutable, and data over time is more valuable than a single result. With the results of your IAT in hand, take a minute at the end of your shift to evaluate your patient interactions. Do you think your biases affected your patient care? What could you do in the future to prevent this from happening? Simple awareness that biases exist can make a significant impact. 2. We utilize our stereotypes when we do not know our patients. Healthcare disparities have been shown to decrease when providers take a minute to learn a personal, not necessarily medically relevant, fact about their patients. Where are they from? Do they have kids? What do they do for work? When we think about patients as individuals we are much less likely to generalize or stereotype. 3. Do you live in the same community as your patients? If not, get to know where your patients come from. Ask a community organizer to arrange for a tour of neighborhoods where your patients live or invite patients to speak at your hospital about their experiences both inside and out of the healthcare system. 4. Recognize situations when you are susceptible to unconscious biases, and take steps to prevent those situations from arising. This may require buy-in from hospital administrators to help ease the cognitive burden or additional tasks (reading triage EKGs, accepting interhospital transfers, etc) during busy shifts. This will likely help boost physician wellness as well! 5. In some cases it is impossible to ease cognitive load from an administrative standpoint. It’s up to us then to develop coping strategies during these times. Being well fed and hydrated are important first steps. Make sure to go to the bathroom. Take two minutes out of your shift for breathing or meditation exercises. These steps can go a long way to improve your physical and mental wellbeing and prevent mistakes. 6. Promote racial diversity at all levels of your hospital/departmental organization. Increased exposure to people of diverse backgrounds has been shown to decrease prejudices and racial anxiety. 7. Encourage administrators to consider surveying patients on their ED experience and how biases may have impacted their patient-physician interaction. 8. Support projects that encourage positive images of persons of color, LGBT and women. Distribute stories and pictures widely that portray stereotype-busting images. Biases can be mitigated just by seeing these positive images on a regular basis. 9. Encourage and participate in research regarding biases and health disparities and test interventions to combat them. Without data, we are nothing. 10. Consider professional training sessions on implicit bias and diversity and inclusion for your physician group. Encourage discussion - you’ll learn that you are not the only one with biases and can learn how your colleagues deal with similar struggles. This is a great post on the topic of unconscious bias and how it affects us as physicians (and as human beings). Unconscious biases are simply part of how we are wired as human beings. We have them and cannot help but have them. They affect almost every human interaction and are especially important in healthcare as poor interpersonal communications may lead to mistreatment and misdiagnosis. However, while we cannot help but have them, we can work with them. Stereotypes, while often thought of in a negative way, are simply patterns of the mind developed by our conscious and unconscious experiences and are examples of our unconscious biases. These unconscious patterns help us to function in a speedy and efficient manner. Pattern recognition can help but can also have negative consequences. We use and rely on our pattern recognition (stereotypes) to move quickly in times of stress (such as a busy ED). This makes us more "efficient" in completing tasks. However, we may erroneously complete these tasks if we have biases that take us down the wrong pathways. Awareness that these unconscious cognitive biases exist and can have both positive and negative consequences in our dealings with people is the key take-home from this post. Recognizing that they come into play the busier and more stressful things get might help us to slow down a little to make better decisions. The suggestion in the ten-item list of getting to know the members of the community, encouraging positive images of those with whom you may be unfamiliar, participating in research and promoting racial diversity all help to change our unconscious biases and potentially lessen its negative effects. If you take the IAT, recognize that it is not a measure of racism, sexism, or any other -ism - it is a measure of association only. If you can reduce the cognitive load (much easier said than done in a busy ED), take whatever steps one can (this typically requires systems changes) to lessen the urgency to make too quick of a decision based on unconscious biases. Working with your unconscious bias is possible. It is necessary for providing the best care possible to our patients. Perimortem Procedures: Yes or No? Chapman E, Kaatz A, and Carnes M. Physicians and Implicit Bias: How Doctors May Unwittingly Perpetuate Health Care Disparities. J Gen Intern Med. 2013 Nov, 28(11): 1504-1510. Vigil JM, Coulombe P, Alcock J, Kruger E, Stith SS, Parshall M, Chichowski SB. Patient Ethnicity Affects Triage Assessments and Patient Prioritization in U.S. Department of Veterans Affairs Emergency Departments. Medicine (Baltimore). 2016 Apr;95(14):e3191. Johnson T, Hickey RW, Switzer GE, Miller E, Winger DG, Nguyen M, and Hausmann LR. The Impact of Cognitive Stressors in the Emergency Department on Physician Implicit Racial Bias. Acad Emerg Med. 2016 Mar; 23(3): 297-305. Blair IV, Steiner JF, Havranek EP. Unconscious (Implicit) Bias and Health Disparities: Where do we go from here? Perm J. 2011 Spring; 15(2):71-78. Posted on December 3, 2018 by NUEM Blog and filed under Ethics and tagged implicit bias. Death notification in the ED is not easy. Using the simple steps in the GRIEV_ING mnemonic, Dr. Hobgood found a significant increase in residents’ confidence with and competence in delivering a death notification. Here we simplify how to incorporate this effectively into your practice. Posted on August 1, 2016 by Michael Macias and filed under Ethics and tagged death notification death and dying death death in the ed delivering bad news. We delve into the heated topic of perimortem procedures specifically concerning the ethics, legality, and repercussions of performing procedures on the recently deceased. Posted on June 20, 2016 by Michael Macias and filed under Ethics and tagged perimortem procedures post mortem procedures death and dying procedure education ethical dilemma procedures.